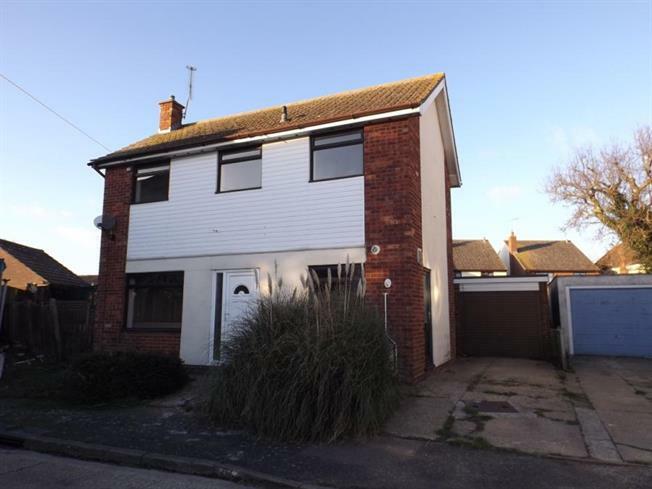 2 Bedroom Detached House For Sale in Colchester for Offers in the region of £230,000. Open House Event This Weekend! Call Now To Book Your Viewings! No onward chain, Village location, approx. half a mile to Elmstead Primary School and Market Field School, close to local amenities. Just over 2 miles to The University of Essex and 8 miles to the A120. Detached two bedroom house, kitchen/diner, lounge and a family bathroom. Garden, garage and off road parking. Range of wall and base mounted units with a roll top work surface and a sink and drainer, wall mounted boiler. Space for an oven and a washing machine. Double glazed window to the front, door to the side leading to the garden. Double glazed window to the front, double glazed double doors to the rear aspect, leading to the garden. Wall mounted radiator. Loft access, double glazed window to the rear aspect, doors to all first floor rooms. Double glazed windows to the front and rear, wall mounted radiator. Fitted wardrobes. Paved patio area whilst the remainder is laid to lawn and enclosed by panel fencing, side access. In addition there is a garage with and up and over door and off road parking to the front.